As a child, I learned this craft from my father. Our history and tradition is the source of our knowledge and inspiration. Today, my family is here with me, all working together. 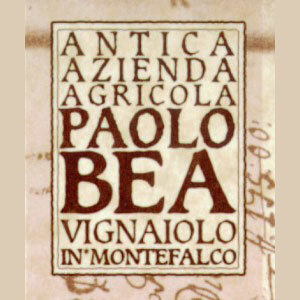 Our roots in Montefalco trace back to the 1500’s, as documents in the village archives attest to. Through passion sustained and encouraged by my sons, Giuseppe and Giampiero, and also by the irreplaceable presence of Marina, my wife and mother of my children, our family has come to appreciate each other in more profound ways, each day relishing the fruits of our labor at our table. With each passing year, I better understand our land, respecting and caring for it… and at the end of each year extract from it a wine which is totally unique, continually developing, improving, and sustaining our health. With an ever growing conviction, we practice, discover, and appreciate natural winemaking methods that exclude the use of chemicals in the vineyard and artificial stabilizing techniques in the winery. Each season is a new discovery, a chance to apply and evaluate knowledge we have gained in previous years.